You are here: Home / We are Gulag Bound / *Resisters' Log* / Almost $10,000! Please Help Us Reach the Next Milestone! Thanks to two very large contributions and many, many smaller ones, our KeyWiki fundraising appeal has reached a whisker shy of US $10,000. Established in 2009, KeyWiki has grown into the most extensive public database exposing subversive groups and individuals within the US. Most of the groundbreaking stories you read on this blog, draw heavily from KeyWiki information. KeyWiki has received more than 24,000,000 page views so far. Thousands of our pages, including those for Congress members such as Danny K Davis, Barbara Lee, John Conyers and Jan Schakowsky are very highly ranked on Google. Many of our pages, such as those for Barack Obama, Democratic Socialists of America and George Soros, have been viewed well over 100,000 times. KeyWiki is full of unique information, painstakingly gathered from archives all over the United States. KeyWiki is regularly accessed by researchers, including those from the Glenn Beck organization and David Horowitz’s excellent Discover The Networks website. After surviving for three years on a shoestring, KeyWiki is not only ready, but needs to go to the next level. 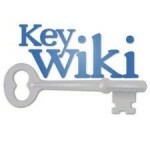 The aim is to quadruple KeyWiki’s content before the end of 2013. We believe that by doing this, we can help to positively impact the 2014 US elections and those further down the track. Fund secure hosting and associated administration costs. KeyWiki is deliberately hosted in New Zealand to increase its integrity and security. This involves current ongoing costs that must be met each month. So please contribute today, through the button on the right side of my web site. Please help us reach $10,000,$20,000, $30,000 and beyond!